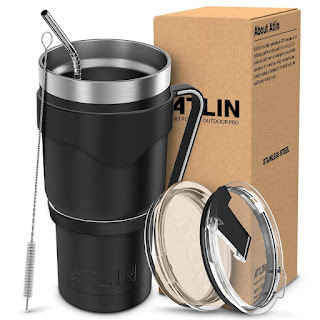 TODAY, December 23rd only, hop on over to Amazon where you can score this highly rated Atlin 30oz Stainless Steel Insulated Tumbler for just $15.99 (Retail $24.99)! This tumbler keeps hot drinks hot and cold drinks cold! It comes with a clear lid, a handle and straw, and a cleaning brush. PLUS it’s dishwasher safe!